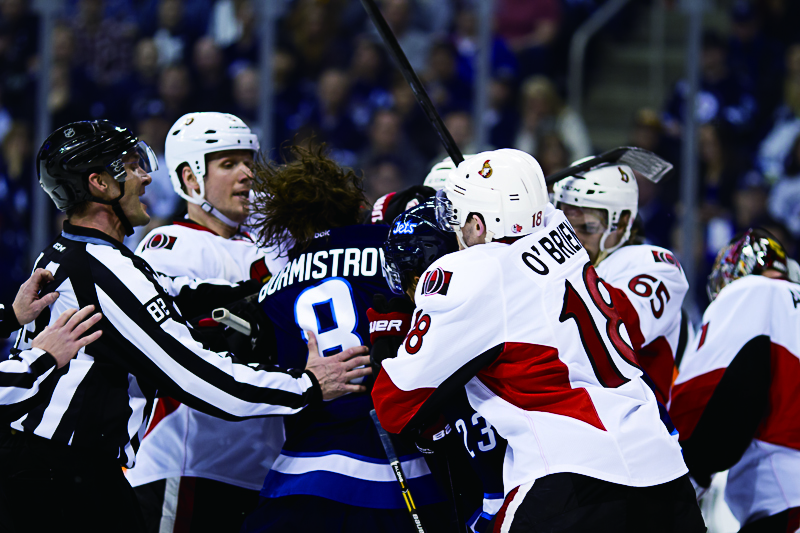 Alexander Burmistrov’s return to the Winnipeg Jets best exemplifies both general manager Kevin Cheveldayoff’s patience with youth, as well as Burmistrov’s commitment to the franchise he calls home. The 23-year-old forward departed Winnipeg in favour of playing in the Russian Kontinental Hockey League (KHL) in 2013. This past summer, Burmistrov inked a two-year contract worth US$3.1 million with the Jets, and will lace up the skates in Winnipeg for the second spell of his NHL career this season. Selected eighth overall in the 2010 NHL Entry Draft, Burmistrov, was deemed NHL-ready by the Atlanta Thrashers at 19 years old, despite his 5-foot-11, 157-pound frame. Though blessed with speed and soft hands, he tallied a dismal 20 points in 74 games during his rookie season. With limited maturation after two years in Winnipeg, a Russian rendezvous saw him tally 64 points in 108 KHL regular season games – a great improvement on his 58 points in 194 games as an NHLer. There is no reason why Burmistrov shouldn’t be a consistent second or third line playmaker for the Jets. Head coach Paul Maurice will come as a welcome relief to Winnipeg’s returnee. His ability to create offensive cornerstones out of younger NHLers will help Burmistrov to reach his scoring potential sooner rather than later. The coach of 11 years previously mentored the likes of Jeff Skinner, Eric Staal and Alex Steen early in their NHL careers. The comeback will also compensate for the loss of Michael Frolík to free agency this past summer. Although Burmistrov doesn’t possess the forechecking ability of Frolík, his mobility alone is an upgrade on the Calgary-bound Czech. Burmistrov should surpass the 40-point barrier for 2015-16 – a figure which Frolík reached twice in two seasons as a Jet. He is expected to center the third line alongside Adam Lowry, which will complement the playing style of both players. Relentless as a forechecker, Lowry can handle the physical aspect while Burmistrov’s speed creates open ice. Under a new contract, Cheveldayoff is continuing to be patient with Burmistrov. 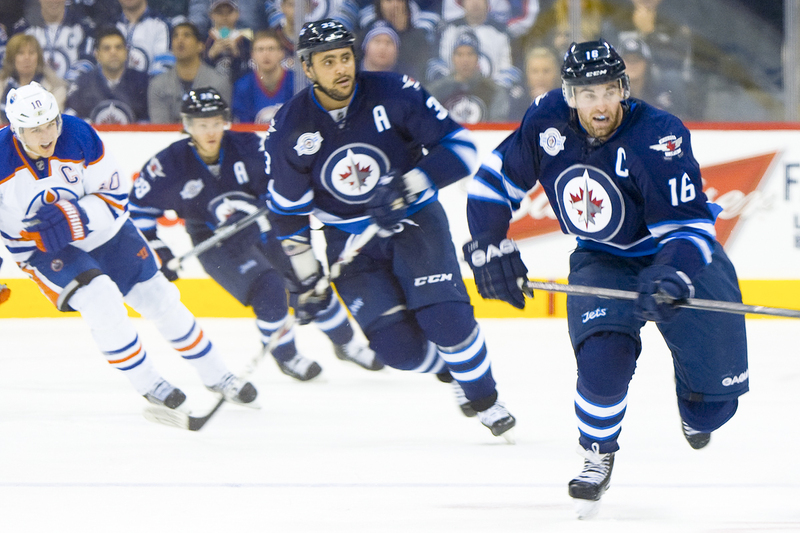 Yet with an annual average value of US$1.55 million over the next two years, the Jets aren’t taking the risk of a long-term deal in case little progress is made. By doing this, Winnipeg could still offload Burmistrov to another team, as his price tag isn’t overwhelming, and he’s still rather young. Cheveldayoff’s no-rush approach also differs from the road taken by Burmistrov’s draft colleagues, Nino Niederreiter and Brett Connolly. Selected fifth and sixth overall in 2010 respectively, both players failed to adjust with the franchises that drafted them and were subsequently traded. A similar scenario is unlikely to occur with Burmistrov, especially taking into consideration his low-risk salary. Jets management would probably prefer to see more Burmie for their buck. Perhaps Burmistrov’s greatest weapon to enduring a successful return to the NHL are the two years of experience he gained in the KHL – a route taken by others along with and after him as well. Selected eight positions after Burmistrov in the 2010 Draft, Vladimir Tarasenko rose as one of the NHL’s leading point-getters this past season. The St. Louis Blues’ sniper is also one of the best Russian NHLers to have emerged since Burmistov’s draft year. Recently in the NHL, there has been an underlying pattern between the early NHL success of Russian players and their junior development. Tarasenko is one of the very few Russian NHLers not to have developed his North American game in the CHL. Instead, he honed his skills in six years as a KHLer. This past season, the Yaroslavl native tallied an NHL 10th-best 73 points in 77 games. Washington’s Evgeny Kuznetsov also opted to reject the CHL in favor of KHL development and played an integral role in the Capitals’ playoff run this season. Alongside Colorado’s Mikhail Grigorenko and Edmonton’s 2012 first overall selection Nail Yakupov, Burmistrov continued junior hockey by entering the CHL through the import draft. Perhaps it was a step backward in his development, playing against juniors of a similar age while having previously played against professionals in the KHL. Burmistrov has tallied an NHL career point-per-game average of 0.30, while Grigorenko and Yakupov average 0.21 and 0.46 points per game, respectively. Having returned to the NHL on the back of two seasons performing against KHL opponents, Burmistrov can embrace the challenge of top-level hockey once again with reinvigorated confidence. Surely the native of Kazan will be looking to avenge the dismal 10-point season he tallied during his last campaign in the NHL. His brief hiatus from Winnipeg, however, does not absolutely guarantee he will return an improved hockey player in every attribute of his game. Yet, it does control some damage inflicted by the Atlanta Thrashers when the club introduced Burmistrov into the NHL prematurely. Don’t forget that he never endured an AHL spell in Atlanta and only spent 22 games with the St. John’s IceCaps as a Jet. A reintroduction into North American hockey fresh off KHL action will perhaps be an easier transition for Burmistrov, similar to the adjustment Tarasenko underwent. A positive change in Burmistrov’s game would be more than welcome for a franchise undergoing somewhat of a youth movement. Criticized in the past for underperforming, he enters a new era with a playoff-contending franchise and will even wear new digits since Jacob Trouba now wears his number eight. The Jet’s newest number six on the roster is an old face with a fresh start and will discover the true outcome of his KHL stint beginning on opening night.